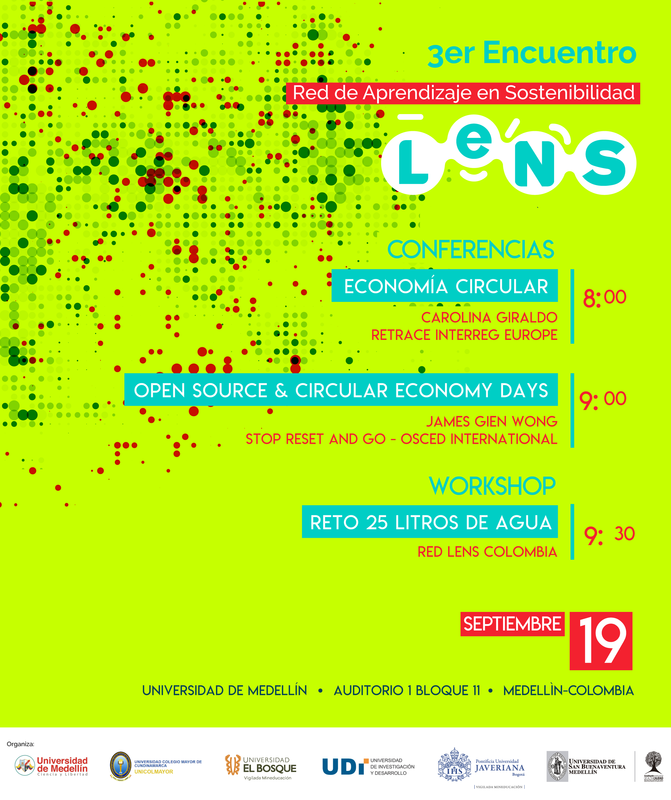 During the 3rd meeting of the lens colombia network, part of lens international, will be carried out a hackathon based on the 25-liter challenge launched during the February event in South Africa. what is sought is that groups of students from different universities, during the first weeks of class develop a product that can reach the parameters of this challenge within a household: it is possible that a person can live by using only 25 liters of water? In this way, it is expected that water problems that are occurring in different cities around the world can be solved in some way. The results will be presented, completed and improved during the September 19 event in Medellín, Colombia, creating interdisciplinary teams among the participants of all the universities. Ademas de esto, se invita a que cada uno de los equipos comparta archivos que profundicen el trabajo desarrollado aprovechando la plataforma http://platform.envienta.org/ donde se comparten proyectos opensource con el mundo y se conectan creadores, productos, inversionistas y todos aquellos interesados en que el proyecto pueda desarrollarse de mejor manera. Have an excellent hackathon in Medellin! We look forward to learning from you on how to manage water in OSCE. How did the hackathon go? Will you have time to give us an update under this topic or during the next BoST call on Nov 5th?